Last year in Nashville, there was Donald Brown grounding out yards on a game-winning touchdown drive in overtime. A little over a year later, there was Brown once again eating up yardage and icing a comeback victory. Brown, who was awarded a game ball, finished Thursday night with a season-high 14 carries for 80 yards and two second-half touchdowns. Known for his speed, Brown showed the ability to break several tackles at the second-level and that contributed to his massive second half. Brown finished off the opening drive of the second half with a six-yard touchdown run and virtually iced the game with an 11-yard score with 3:01 remaining. It marked the first time in Brown’s career that he scored two touchdowns. 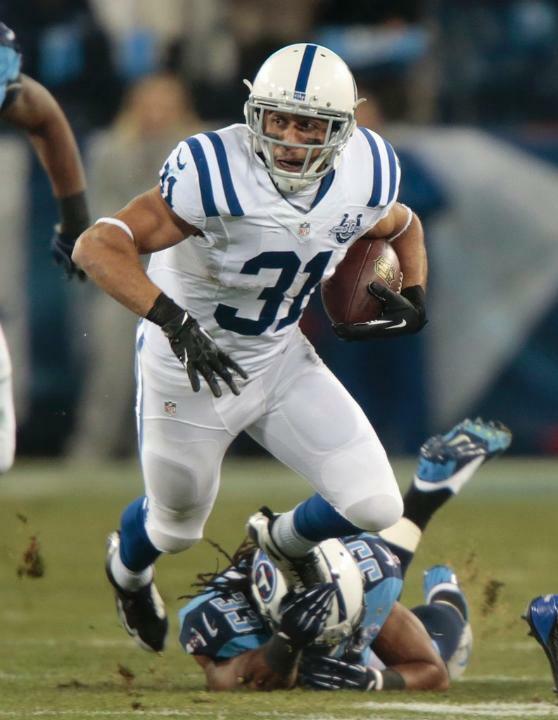 On the year, Brown now leads the Colts with 55 carries for 323 rushing yards. In typical Brown fashion, the veteran rewarded the entire offense for the run game’s performance in Thursday’s win. “The offensive line did a phenomenal job. Andrew (Luck) got us into the right plays. Stanley Havili did a phenomenal job blocking. When you see the safety, that’s every running backs dream and those guys up front did a phenomenal job,” the five-year veteran said after the 30-27 victory.